A technique for burning coal underground from the former U.S.S.R. is coming here. It's not at clean as solar or wind, but it beats the conventional coal business. Laurus Energy doesn't want to dig coal up. It wants to burn it underground. Borrowing technology originally developed in the former Soviet Union, the Houston-based company wants to popularize a technique for using coal as a form of energy that it says will be both comparatively environmentally friendly and economical. It works like this. Rather than mine coal in open pits, Laurus digs a deep production well in which it sticks an industrialized cigar lighter. This ignites the coal still locked in subterranean seams. The coal then turns into a synthetic gas, which gets drawn to the surface through another well. Laurus then fractionalizes the syngas: carbon dioxide is separated and sent via a pipe to oil fields, where it is injected deep into other wells to help pull crude out of the ground. The rest of the gases-a combination of hydogen, methane and hydrocarbons-is then burnt in a gas-fueled power plant. In all, the process results in electrical power that is on par in price with electricity coal and roughly 33 percent cheaper than natural gas, says Erik Straser, a partner at Mohr Davidow Ventures, which lead an $8.5 million dollar funding round. This technique is also significantly cheaper than above-ground coal gasification, he said. "The whole idea is to get away from open pit mining," he said. "This can be done on tens of millions of dollars. ... We are drilling holes." Is it cleaner than wind power? No, but it will cost less and – if it works like the company says – it will certainly be cleaner than conventional methods for producing and burning coal, which still accounts for around 49 percent of the electricity in the U.S. Worldwide, the Department of Energy estimates that there are approximately 998 billion tons of economically recoverable coal sitting underground. U.S., China, Russia and India have the most. Other venture-backed coal startups include Coal-Tek (removes water from coal prior to burning to reduce particulates), Renewable Fuel Technologies (synthetic biomass coal), GreatPoint Energy (coal gasification) and FuelTek (power plant scrubbers.). Laurus marks the second new wave mining deal for Mohr Davidow. Earlier this year, it lead a funding round for Simbol Mining, a Lawrence Livermore National Labs spin out that hopes to extract lithium out of the liquid flows inside geothermal power plants. Besides not needing pits, the Laurus technique can also get at seams far deeper than conventional mining, Straser added. Most coal mines actually only dig about 100 meters into the earth, he said. To go deeper, mining companies need to make a deeper pit. Laurus will be able to exploit seems 200 to 1500 meters deep. Different seams sitting on top of each other can be burned at the same time. The company was founded by Simon Maev and Michael Blinderman who helped pioneer the concept 30 years ago and now promote the technology through Ergo Exergy. A plant, now in Uzbekistan, that uses this technique still runs. Another is being built in South Africa. Laurus licenses the technology from Ergo Exergy. Along with the funding, Laurus retained Rebecca McDonald, a longtime energy exec, to become CEO of Laurus. Laurus will not sell equipment to coal mining operations like Peabody Energy in the U.S. 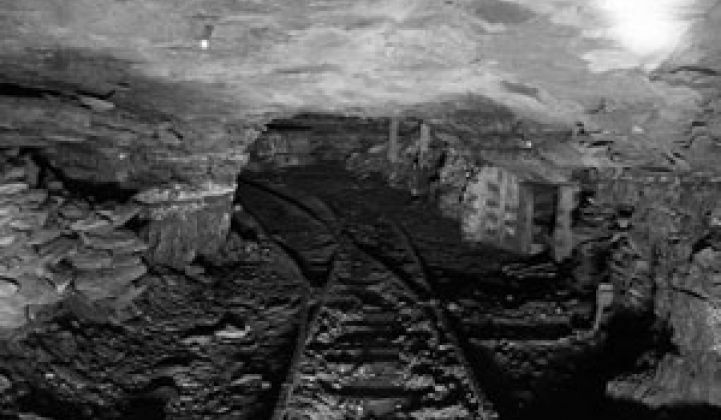 Instead, it is going to obtain the rights to deep coal veins and exploit the energy itself. "We're the developers," Straser said. "If the resource is available, we can get it."